A profoundly powerful chakra balancing meditation in only 7 minutes! 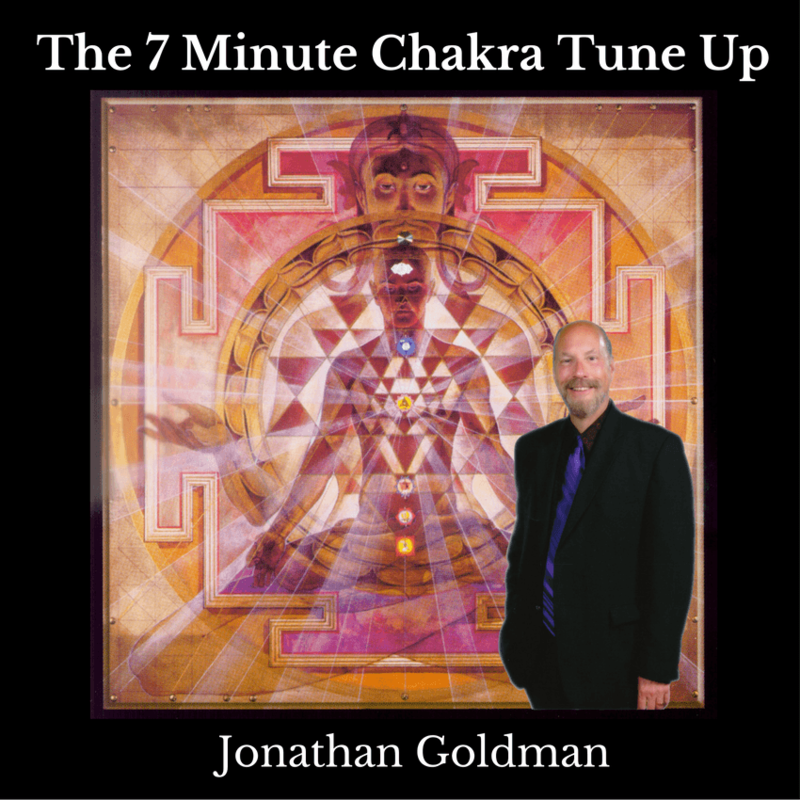 In the tradition of the hour long award winning CD Chakra Chants, Jonathan Goldman has created this new abbreviated sonic experience to enhance everyone’s busy life. The sounds on this recording will help balance and align your chakras, creating greater health and harmony. To receive maximum benefit from the experience, simple instructions are also included so that you may tone along with the chakra sounds yourself, and experience these additional therapeutic benefits. This extraordinary recording created by HEALING SOUNDS® pioneer Jonathan Goldman utilizes a system of vowels to resonate your chakras that he created in 1986. This time tested system has become universally used for chakra balancing. -Increased levels of nitric oxide, a molecule associated with promotion of healing Heightened consciousness and levels of awareness.